Singe woman from OR that travels looking for Old time and Bluegrass jams. I am a single woman that travels the US looking for Old Tiime snd Bluegrass jams to join. I play the banjo. 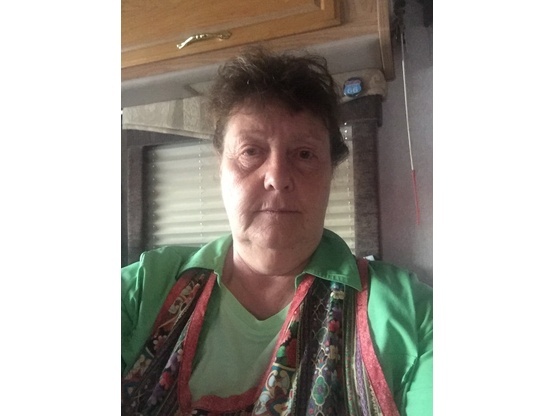 I am a retired Dental Hygienist and spent several years traveling the US being the Chief Cook and Bottle Washer for a motoceoss team. I play the banjo and love to cook. Great lady and can back that rig up like a champ. Enjoyed talking and would welcome her back anytime. Thanks for your pleasant visit and the gift. Hope you all enjoyed your stay. We just have the best time with Janice. This is her second stay and we had storms roll in so Janice and I stayed up til 1:00 am waiting for the tornado warnings to stop. Look forward to her next stay with us. Janice was such a hoot to have over. Our boys really enjoyed visiting with her and my wife and I truly admire her chutzpah. 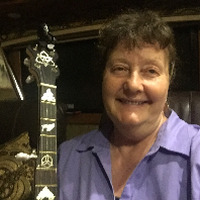 She was very generous with her time in teaching guitar lessons to one of our sons. We hope to see her back our way again! We had a blast and then she got sick. We felt bad for her but, once she feels better we will have another good time before she leaves. Hope she comes back to this area again. Wonderful visit. Had so much fun with Janice during her visit here. It felt like a long lost sister coming home. Hope our paths cross again soon. Jrailton spent three nights with us and was a wonderful guest. We did have time for a visit and she is very interesting. She is learning to play the banjo and looking for some pickers to jam with, sadly we do not play musical instruments. She is amazing at backing up her big rig, Butch was so impressed with her ability and independence. Hoping she can return after the first of the year to jam with our Canadian friends and musicians.